So today I decided to do a FOTD (face of the day) or.. well more like an eye of the day considering I rarely put a full face of makeup on unless I "have" too. Birthday Girl is in the outer corner and slightly into my crease. and my Mascara is Revlon ColorStay Overtime Mascara in black. I really like the way this look came out! I realllllllllllllly bloody love it actually! <3I hope you do as well! Now onto the story. 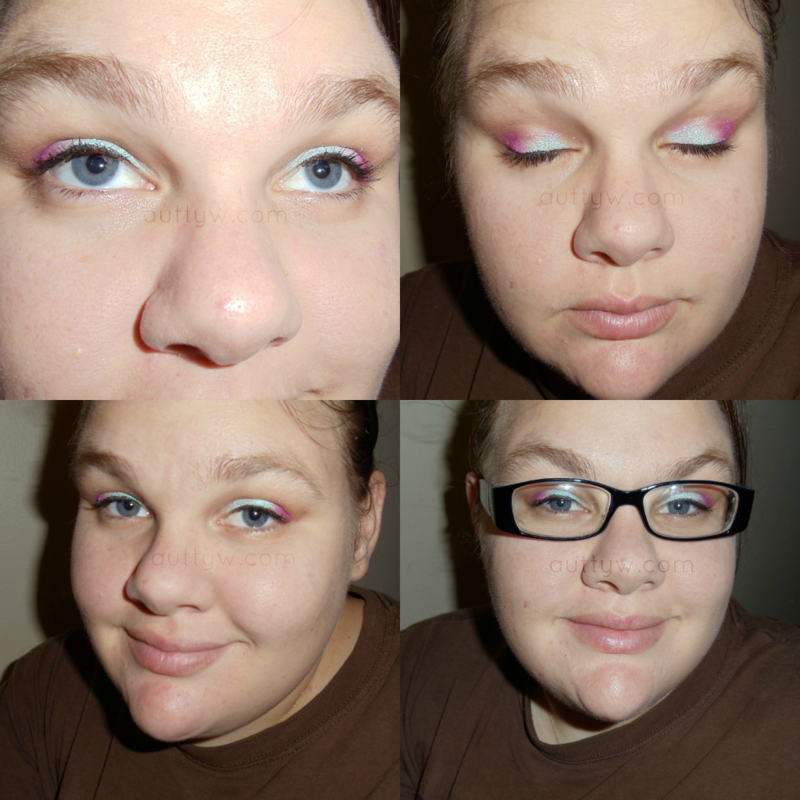 Its "fun"
I have contacted Urban Decay about it via email and twitter. So far no response, I'm not hoping for one today, but I am hoping for one soon it would be nice! I will update you as soon as something happens. disclaimer: all above mentioned products were purchased by ME. I am not affiliated or being sponsored by EITHER of the companies above mentioned. All opinions are 100% my own. I love the pop of pink! I wish you luck in hearing from U.D.. Nothing is worse than having something go wrong with a piece of make up especially when it's a bit expensive. I got an email from them saying IF I have my proof of purchase they will replace it. I can't find my receipt to save my life. So, I have no idea. I'm just waiting back from the lady.